KEYSTONE is not a kennel but a HOME blessed with beautiful, healthy Airedale Terriers. I am a breeder, owner-handler. 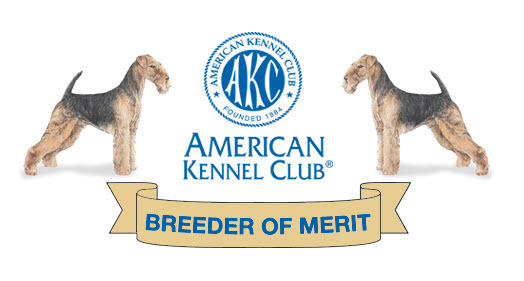 I breed (to the Airedale Standard) , train and show my Airedales to their UKC and AKC championships. My purpose is to breed AIREDALE TERRIERS, to the Airedale Standard, who are Typey, are Sound, and have an Intelligent Free Spirit.